The unique blend of youth and experience in the Husqvarna Factory Support Team turned plenty of heads as the weekend’s Australian Dirt Track Championships unfolded at Barleigh Ranch. Sadly the titles proved elusive, but senior duo Paul Caslick and Max Croker featured prominently throughout qualifying and finals, with the team’s junior racer Billy Van Eerde even getting in on the act to win his support category. At 48 years of age Aussie Dirt Track legend Paul Caslick is the first to admit he’s no spring chicken, but not a single competitor would have taken his threat lightly with the incredible form he showed over the weekend. 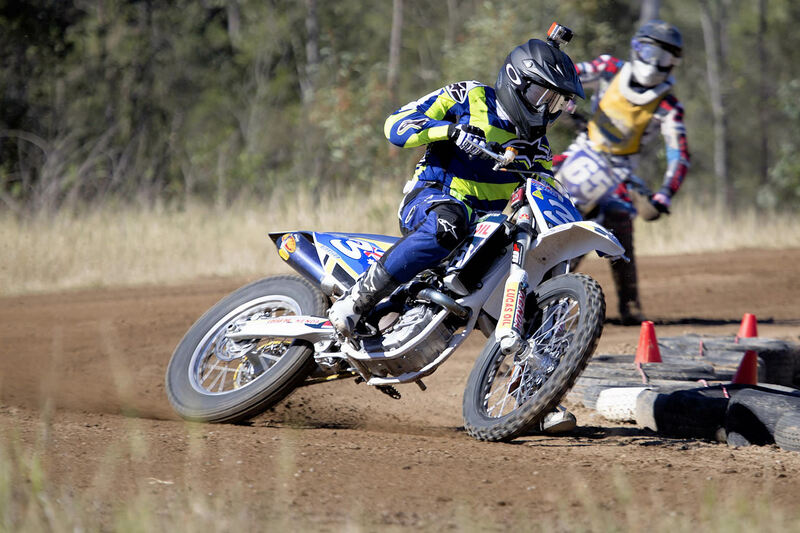 The evergreen Husqvarna rider fell just one place shy of a tenth career Australian Dirt Track Championship when he finished second in the Pro Open category behind defending champion Luke Richards and comfortably ahead of Brody Nowlan. 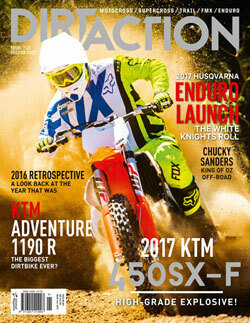 “It was probably one of the biggest fields of 450 riders we’ve seen for a long time – 58 in one class!” Casslick exclaimed. “You couldn’t drop a heat because it was critical for qualifying and gate pick. Saturday was great for us because I liked the way the track was, I had two wins and an easy second place, and we left there as one of the red hot favourites. But Sunday they re-did all the track and everything was different. There was no practice, just one qualifying race so we were chasing our tails into the finals, and we had to take a guess on what was going to work. The newly crowned Pro Open Vice Champion and his Husqvarna team mate, brilliant 18-year-old Max Croker, got to cross swords in anger in the Pro 450 category. As the two Husqvarna Factory Support team FC450s went head to head, it was the master who triumphed narrowly over the young apprentice – the pair finishing seventh and eighth respectively, less than four tenths of a second apart. Earlier Croker had eclipsed the likes of Jarred Brook and Brody Nowlan to be top qualifier in the Pro 450 category, but Croker couldn’t quite get the starts he wanted on the day, and finished just off the podium in two classes despite a bloody injury to his arm in a fall on Saturday. 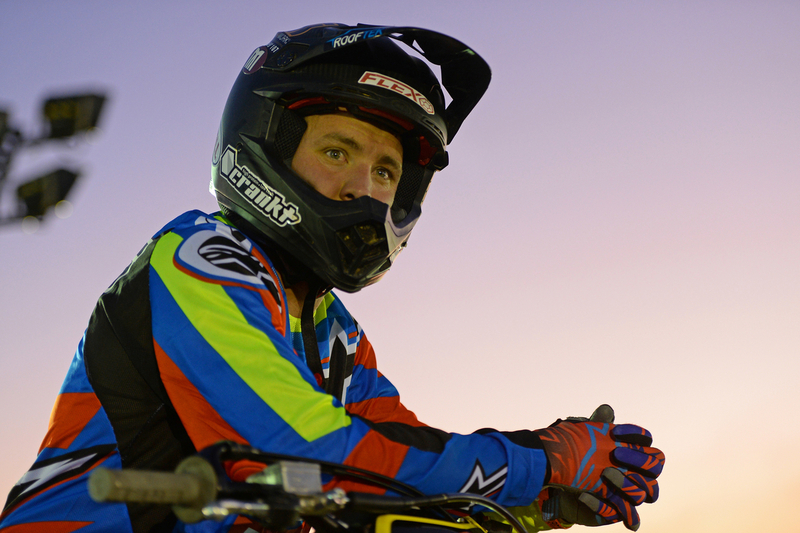 Croker finished fourth in the MX Open category behind Jarred Brook, Luke Richards and Marty McNamara. In the Under 19s, he trailed Brook, Hayden Spinks and Ty Lynch, despite setting the second fastest time of the race. “I rode five classes over the weekend, so that was a lot of laps! In the finals I was top qualifier for the Pro 450 and Pro 250, and qualified top three for two of the other three,” Croker shared. “I had an incident on Saturday though, in the third Pro 450 heat I think. Someone came across me in the first turn and I hit their tyre and went down and took about another seven blokes down with me. Two kids went off the hospital and I had to go too that night, because a bike hit me and punctured a big hole straight through my elbow, and I sprained my ankle when someone ran over me. I had blood pouring out of my arm and you could see my joint. But I got back on the bike, and ended up getting first in the restarted race! “X-rays gave me the all clear, so we rode Sunday, but we didn’t get very good starts, and ended up with two fourths. I was favourite for some of the finals, but when the time came, they’d made some big changes to the track and we just didn’t come up with the right setup. Still, we fought as hard as we could. 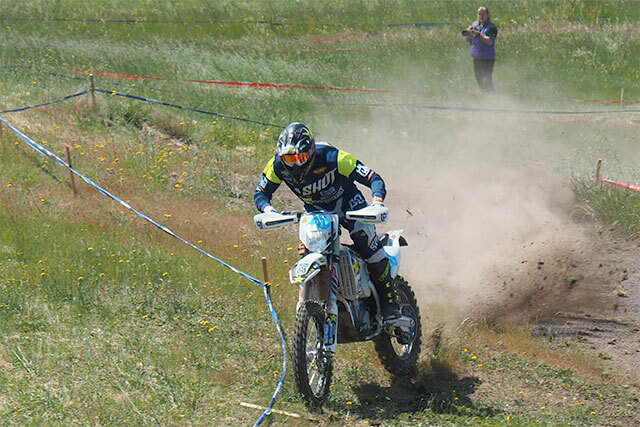 “All weekend the Husqvarnas were on fire – Caso was flying and even Billy in the support races. Caso and I were battling in the Pro 450, and I tell you, all I wanted to do was beat him, but he got me. I was really annoyed (laughs), but he’s got too much experience. It’s always great to ride with Caso, he’s so good at what he does and to be able to learn from him is awesome. 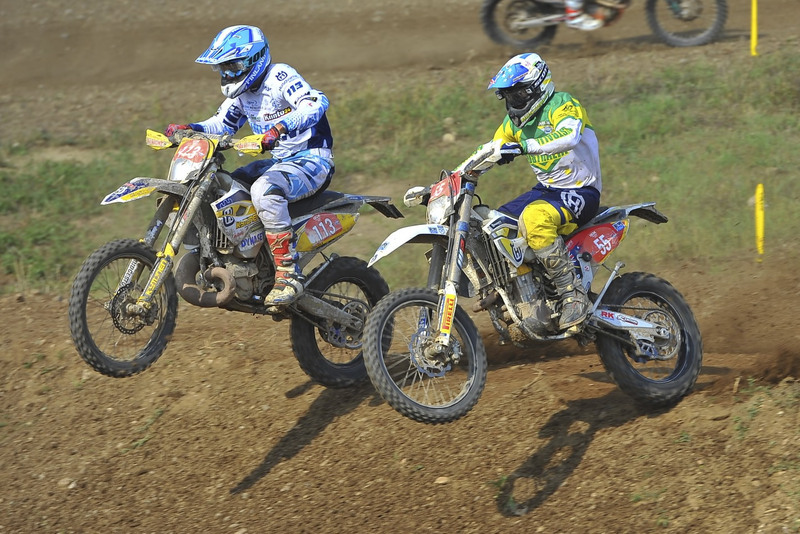 The team’s third member, Billy Van Eerde competed in the non-title 200-250cc 13-U16 Years category aboard his Husqvarna FC250, and won the class in a thriller ahead of Max Whale and Mack Childs. heat, Van Eerde made his way from fourth into the lead to take the victory by just under half a second. “The last race, I had to win it, it was either me or Max Whale. I started third, and he was in first, but I got through to first over five laps. It was very tough, but I’ve ridden the track a few times, so I knew it a bit better than they did,” Van Eerde shared. “I passed Mack Childs coming up the inside out of Cameron’s Corner, and then the same lap I cut down on Max Whale and passed him.